The Nest Learning Thermostat learns from you and your home, programs itself automatically, and helps save energy when you’re away. And you can control it using your phone, tablet, or laptop. 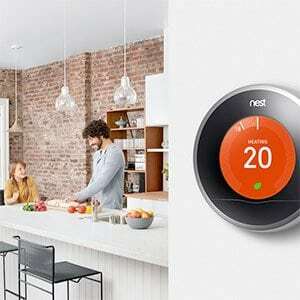 Installing a Nest Learning Thermostat couldn’t be easier – because Reliance™ does it for you. In fact, we’re a Nest Pro Elite Partner. That means our technical experts are specially trained to install your new smart thermostat virtually anywhere and have it up and running right away – guaranteed. 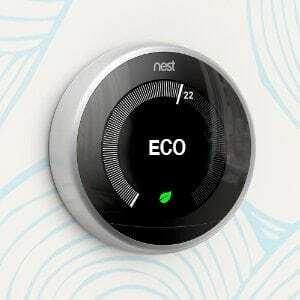 Ready to purchase your Nest? Or have one and need it installed? Save yourself the time and hassle – we’ll take care of it for you so you can enjoy its benefits and stay comfortable. Your smart thermostat controls about half of your energy bill. That’s more than appliances, lighting, TVs, computers and stereos combined. A lot of that energy is wasted heating and cooling an empty home. Programmable thermostats were supposed to help. But many people never program their thermostats – it’s just too complicated. Eco-Temps: Nest automatically turns itself down when nobody’s home to help you save energy. Need help choosing the right heating and cooling solution for you?